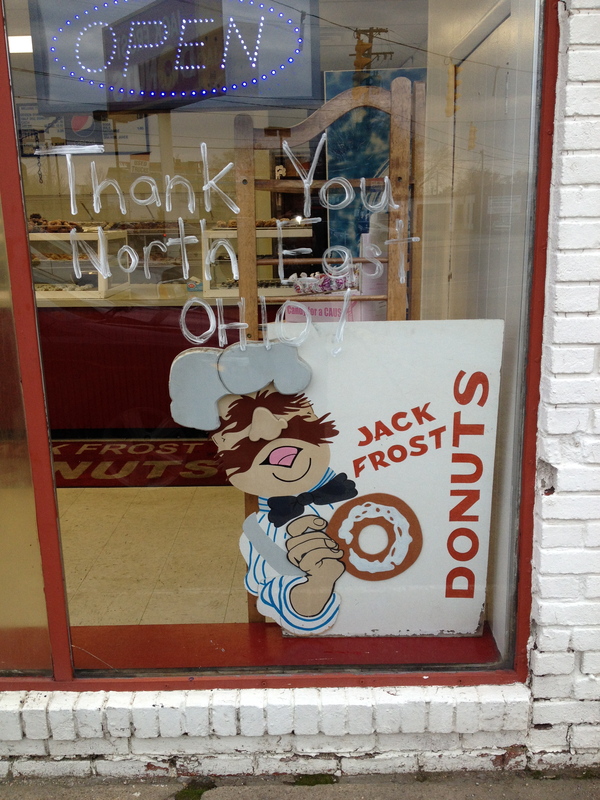 My Cleveland to do list remains long, especially in the area of things I have not eaten. At the top of my list is an experience I have been teased with twice but have never tried. I travel on the cheap for the most part. Don’t get me wrong, I don’t skimp, but I focus on value in transportation and accommodation to have more cash for culinary tourism. There are however times when you deserve to splurge a little. Through past employment and an eye for a deal, I have had a few opportunities to stay in some of the finer hotels in the North America, including The Fairmont in Dallas and The Fairmont Queen Elizabeth. Through a quick of fate and Hotels.com being unprepared for my wraith of a reservation gone wrong, I did once score an executive suite at The Mutiny Hotel in Coral Gables for $59. So I know a little about living large but don’t allow myself to indulge often. A few falls ago, I had the opportunity to stay at The Ritz-Carlton in Cleveland. Oh, my. Staying there was as close to living as a rock star I will ever be. In fact, there were a couple of rock stars I ended up mingling with while there including Patti Smith. Rarely does one stay in a hotel without some mildly annoying things that are just not right: poor pillows, bad water pressure, a thin towel, etc. You will find none of these things to be less than fine at the Ritz. The bed was so comfortable that I did briefly consider how I might sneak it out of my 11th story window onto my waiting Subaru in the alley. And even though that is crazy and illegal and in some circles morally wrong, I think, if I had asked, the doormen would have helped me load the bed on the roof of my car while the front desk replaced the bed for my room and discreetly send a bill to my home to pay for it. The service was that good. My favorite memory, of many, was swimming alone on the pool looking out the rooftop skyline window at the moon and the night sky of Cleveland. One more thing – best hotel robe ever. 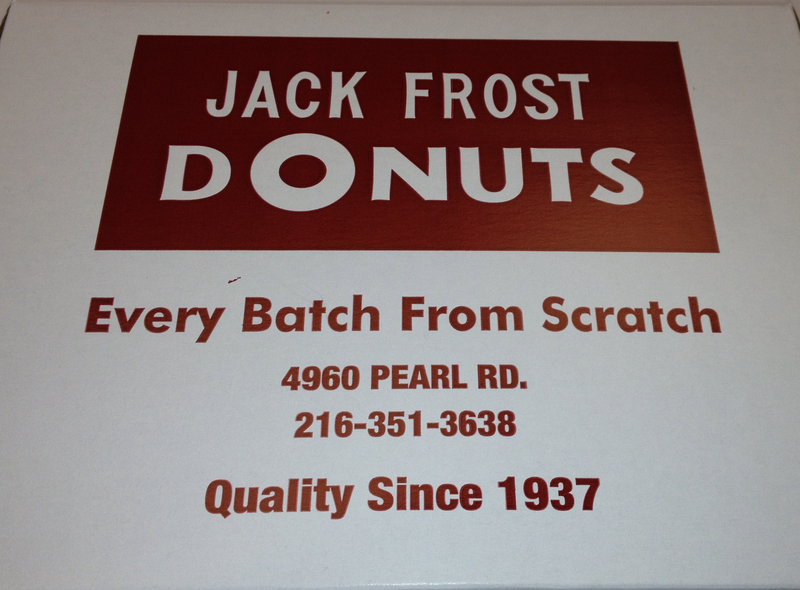 The downside, is while I was there gratis, I was rarely there, I was too busy eating my way through Cleveland. What I did get to experience, I appreciated for the high luxury it was. And when I think of where I would want to go if I wanted to live large for just one night – of all the places I can think of, the first thought that comes to mind is the Ritz in Cleveland. On my second culinary trip to Cleveland last fall, I did stay not at the Ritz but I did score a second visit to their in-house restaurant, Muse. 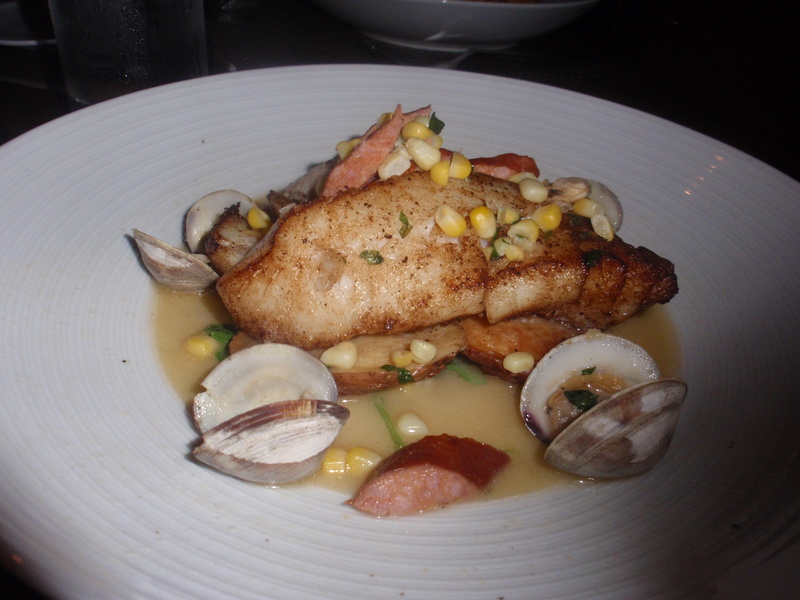 Many people are quick to dismiss the concept of a hotel restaurant as mediocre by default. Not the case for Muse. Ritz-Carlton set a high mark for the restaurant to be in one of their signature locations and have worked hard to staff it well. On each occasion, I have had the privilege to meet Executive Chef Richard Sören Arnoldi. On my two visits I was able to share breakfast with the culinary team of Muse and experience part of one of their special offerings paired with the hotel. The Fresh Market Package includes: Friday night accommodation for two, a bottle of wine (I am sure you could get an Ohio Wine if you ask nicely), breakfast the next morning with the Chef in Muse followed by a chef guided tour of The West Side Market. It wraps up with a lunch prepared by the chef with what was sourced at the market, and if you chose, you can join in him the kitchen to help prepare it. That sounds like an incredible day to me. 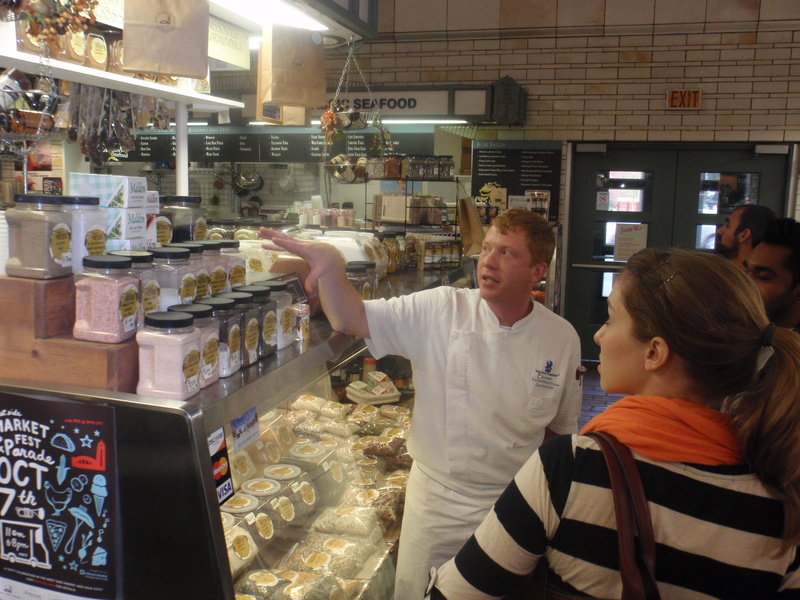 I’ve toured the West Side Market twice with chefs from Muse. 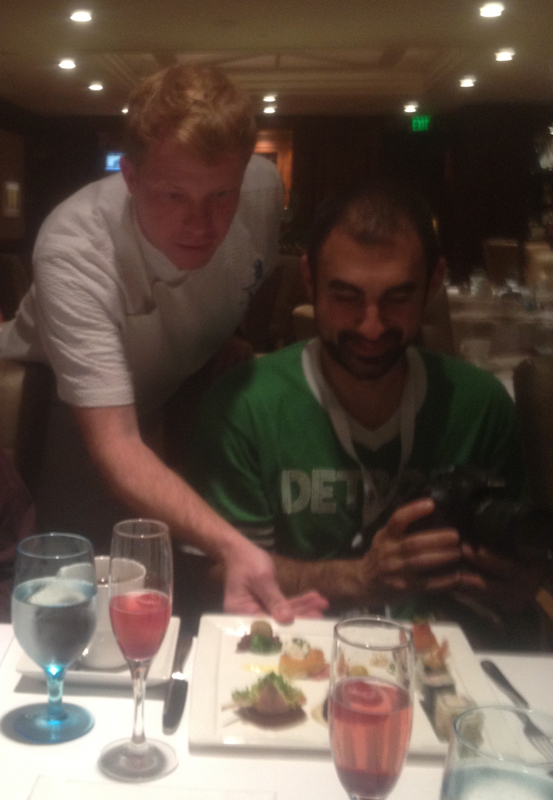 The last time was with Chef Arnoldi. You don’t need a tour to enjoy and appreciate the West Side Market. However exploring the market with someone who visits many times a week and knows each of the purveyors – their stories, best items, what is in season, etc. changes the experience from that of a tourist to that of a local. Chef Arnoldi is not a Cleveland native, but he has embraced the city and made a conscious decision to stay to pursue his craft. He shared the West Side Market reminds him of going to the markets with is father as a kid in Philadelphia. It is a tradition he continues with his son today. I am not sure when I will take the plunge to enjoy the complete Fresh Market package, but since I have done much of it in bits and pieces, I will look forward to writing about it when I do it as a full experience. CROP is a great restaurant. It has the writeups and awards to prove it. The modern menu is constantly transforming, morphing, refining and becoming more local so writing about what I had before won’t help you make plans for what to order now. The elements of a good restaurant are the core values of CROP: attention to detail, presentation, a focus on working with superior purveyors, a commitment to customer service, etc. I’ll pop in a few photos below to whet your appetite and then we will move on to the things you may not know about CROP. Let’s cover a few of the basics before moving on to the elements that establish the uniqueness of CROP. The name: CROP stands for Customized Restaurant Operations Platform. That name might create a disconnect for those that experience the menu today but I’ll explain why that makes sense later. Take solace in knowing that CROP also focuses on finding the best of crops (of everything) everywhere. As a cheat, take a look at this short video from CROP about what they do – cheat is linked here. A picture is worth 1000 words, well the video I linked will save me about 10,000 of those (which for you means 2-3 typos, some witty phase and some horrible rhyming phrase averted). The man behind, and as you read further, underneath CROP is Steve Schimoler. Looking at his work history, any single restaurant or project on the list would be notable. All of those experiences combined: culinary training, food science, concept development working for large and small organizations created the base for CROP. A job with Nestle brought him to Cleveland in 2005 but a quick connection to and love for the community made him want to stay. CROP is part of Rolling Fire Enterprises a concept development company that focuses on food initiatives as well as the Rock and Roll heritage of the city via Cleveland Food Rocks! At this point, you may be getting the sense that CROP combines a lot of parts into it’s whole. An appreciation of CROP starts at the curb. The United Bank Building has been an iconic landmark of the neighborhood since 1925. The building had long since passed its glory days of the roaring 20’s but Schimoler saw great potential in the edifice. The large space featured murals, marble and other classic features of a building waiting to be reborn with a lot of hard work and creativity. As impressive as the upstairs looks, it is the basement that got me excited. Part of this underground lair houses a culinary lab where the science aspects of the business are pursued with passion and vigor. Water is a big deal for cooking. The type of water used in beer, bread and even bagels give foods part of their distinctive flavor. Water adds to the Terroir . Buried in this basement is a water system that can replicate any type of water from tap drawn water of New York that gives a Jewish bagel it’s characteristic crunch to Bay Area H2O that makes sourdough a little bit better when baked in San Franciso. Water seems like a generic element in a recipe, but it turns out, this little thing, makes a big difference. That is one example of the “underground” work going one here. The basement is also used as extra production and event space. The centerpiece is a 5000 square foot vault. At one time it was one of the three largest in the country. The multiple feet of concrete, the many inches of steel and the craftmanship of a bygone day make this vault virtually impenetrable both to burglars and cell phones. The locking mechanism and elaborate designs of the door make this as much a work of art as a practical form of protection. 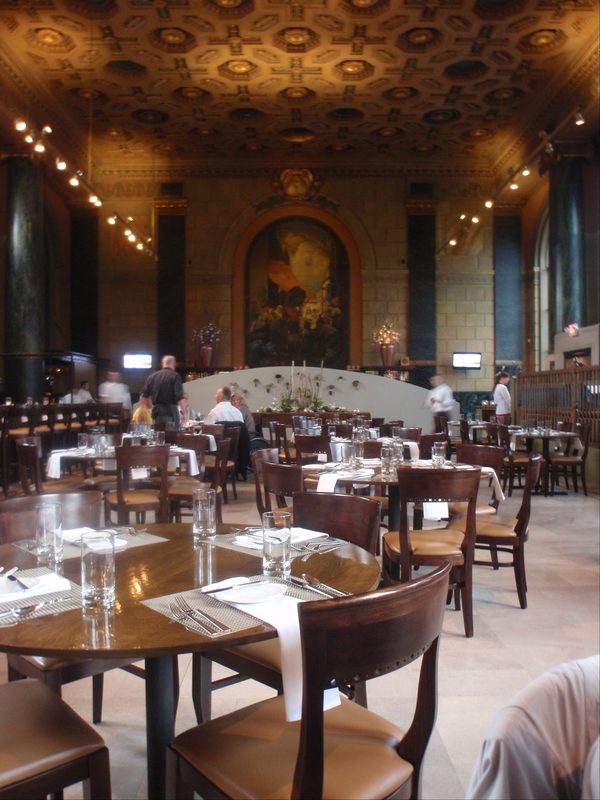 If the end of the world is coming, you want to book a dining room and dinner in the vault because you are likely to survive anything other than a direct meteor hit (and you will have plenty of food & water to sustain you in the aftermath). Schimoler was a generous host, sharing everything on all levels. He clearly has found his calling mixing the art and science of the culinary world together in one place. Yet another example of the many things going on above and below ground in Cleveland. I meet so many people who have a passion for something but lack the focus or sense to make it work. Many have a passion for food but not a lick of business sense. And as many people are so focused on every cent they create a soulless business that can’t keep a customer. It is a rare spirit that can blend the two – a focus on fun, a directed passion but just enough common sense and structure to make the dream a reality and to keep the whole thing fresh, financially afloat and sustainable. I truly believe that a business that connect with their community stands a much better shot at sustainability than one launched by someone with a riveting business plan and a MBA to boot. 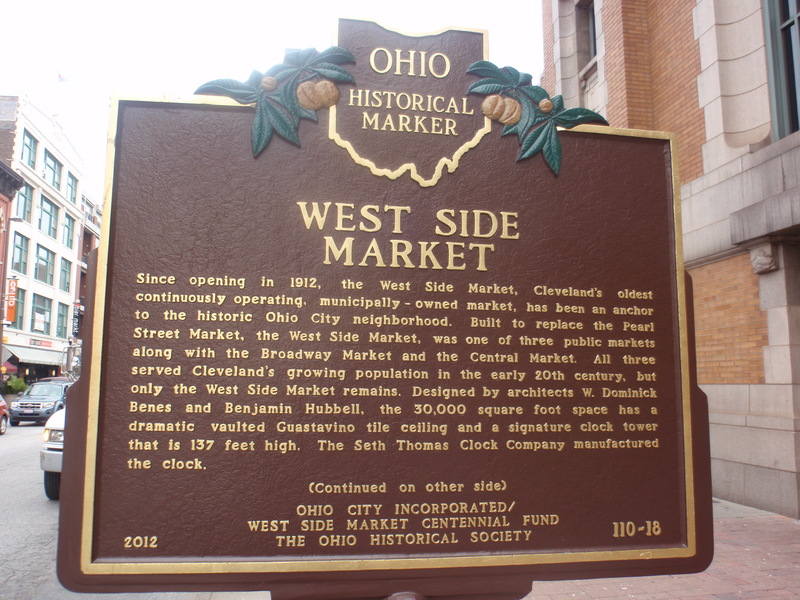 The heart of Ohio City is West 25th Street. The soul is definitely West Side Market but epicenter of growth and vibrancy has been fueled by alcohol, passion and good food on West 25th. Bier Markt was an early entry (2005) on what is now a brewery district by any other name. Ask any passerby to name a favorite spot on the street and they are likely to mention one of more of the following: Market Garden Brewery, Bar Cento, Speakeasy or Nano Brew. What do all of these spots have in common other than good libations, good food and distinctive style? The answer Sam McNulty. The key to the success of his enterprises – there are several and he would have all on a cool key ring no doubt. I had the opportunity to tour all of these locations with McNulty back in October of 2012. I have done many meet and greets with restaurant and bar owners. Most are short, somewhat forced and canned and usually not so memorable. Not the case for McNulty, he spent many hours with the group of writers in my pack – on a busy weekend night. He walked us through every nook and cranny of each of his businesses. He told us the history and inspiration of each. My notes were extensive and throughout his genuine caring for his community, employees and partners shined through. He knew every employee by name. How did he begin the evening – he did not talk about himself, his “brand”, etc., he asked where else we had been and when we mentioned CROP – he raved about the place, how his competitor’s restaurant was so good for Ohio City. 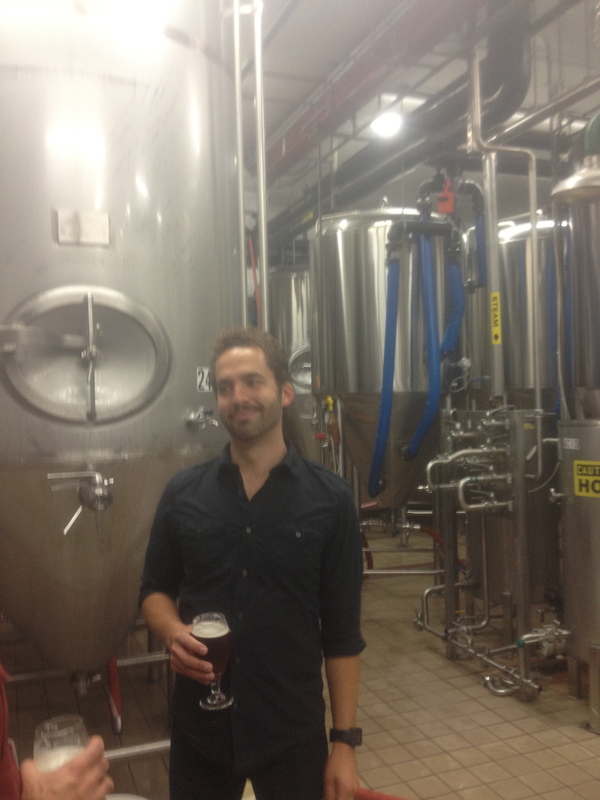 When we asked him what was his next project – he shared the next focus would be whiskey, rum and bourbon distilling…..which led to him raving about Middlewest in Columbus. Many of the little things that set his places apart, start to turn into big things. 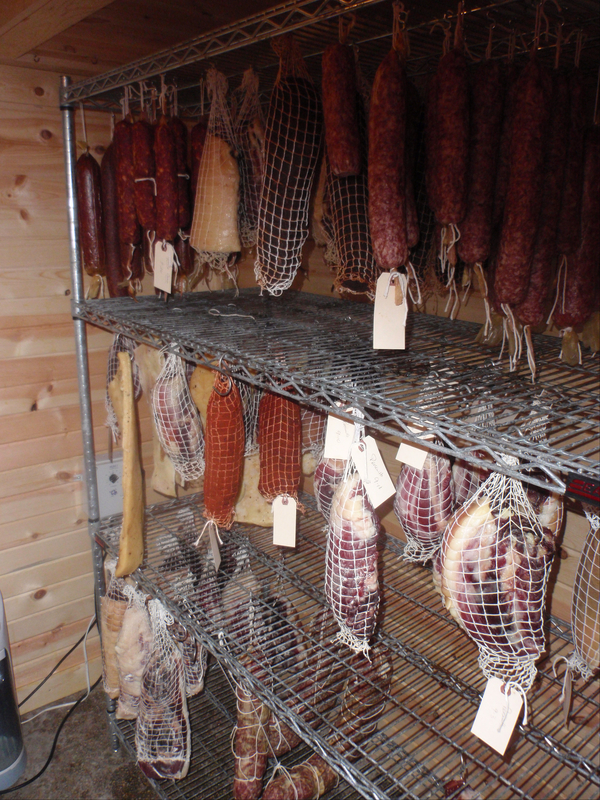 There is definitely a desire to increase the DIY capabilities of all operations by creating a space for fermentation, aging cheeses and charcuterie and more. 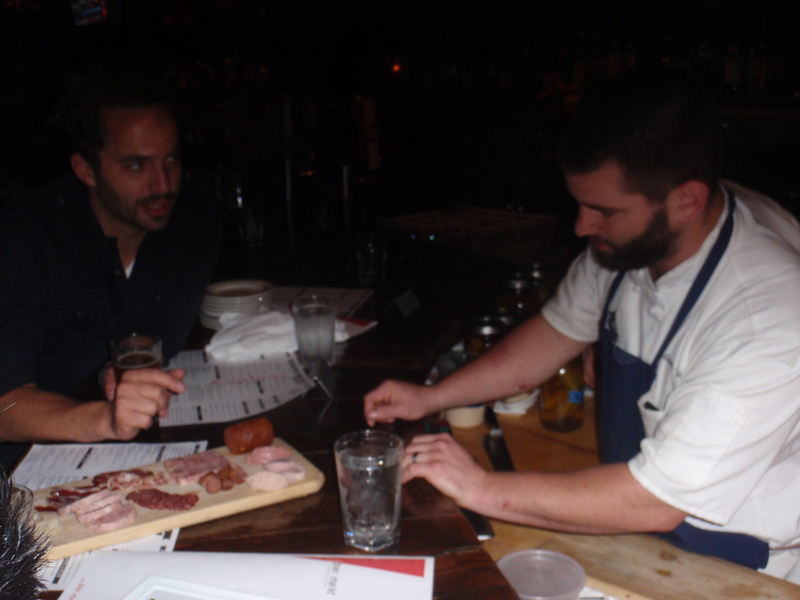 McNulty shared that he started to think about the carbon foot print of bringing Italian prosciutto to Cleveland. Then he asked himself, why he was doing it when Cleveland had everything he needed to do it in-house? He has the right people and ingredients. Then he broke the process down into the small steps to make it a big idea: build relationships with local farms to source the right types of pigs, then find the right way to process the hogs, build out a curing room and…… Although a lot of work, the end result is that because he now knows where everything is coming from and who is putting it together, he feels better about serving it. he can serve something that is Ohio to the heart and what his neighbors would want and what his chefs like to create. Another key to making this work (and why all of this works) is he finds the right people who share a passion for what they do – cooking, brewing, serving and he lets them take risks and pursue these projects with the resources they need and the freedom to experiment. What inspired each concept – mainly the people of Ohio City. McNulty lives within steps of his establishments. When he moved to Ohio City he ditched his car for a bike and a scooter. 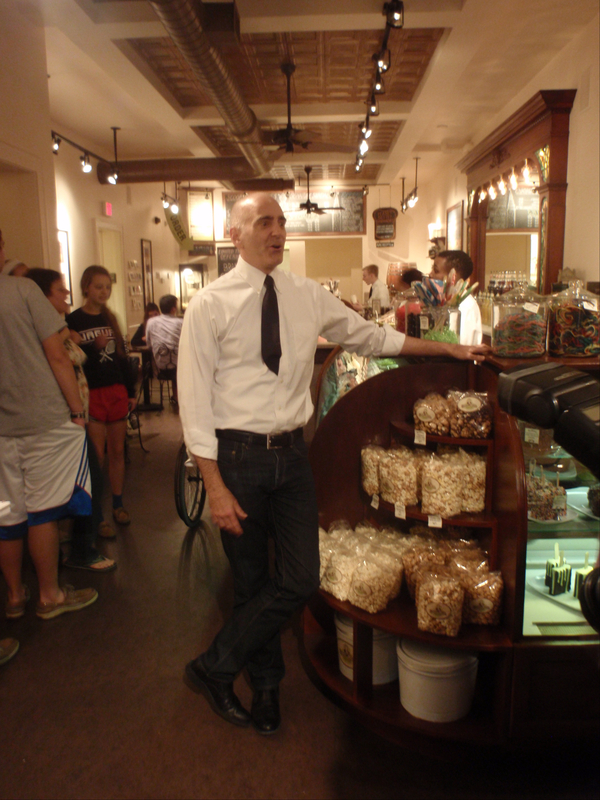 When not working in or on one of these spots, he is roaming Ohio City as an informal mayor and ambassador. He asks himself and his Ohio City peers what they like….and creates what reflects their values. If you go to the right juice spot in West Side Market and ask for a McNulty – you will get a special blend created for his high energy / hectic lifestyle. A telling aspect of his muse comes from the newer kid on the block, Nano. Since McNulty and his neighbors are so pedal happy, he decided he needed to create a new kind of biker bar….but this time for cyclists. 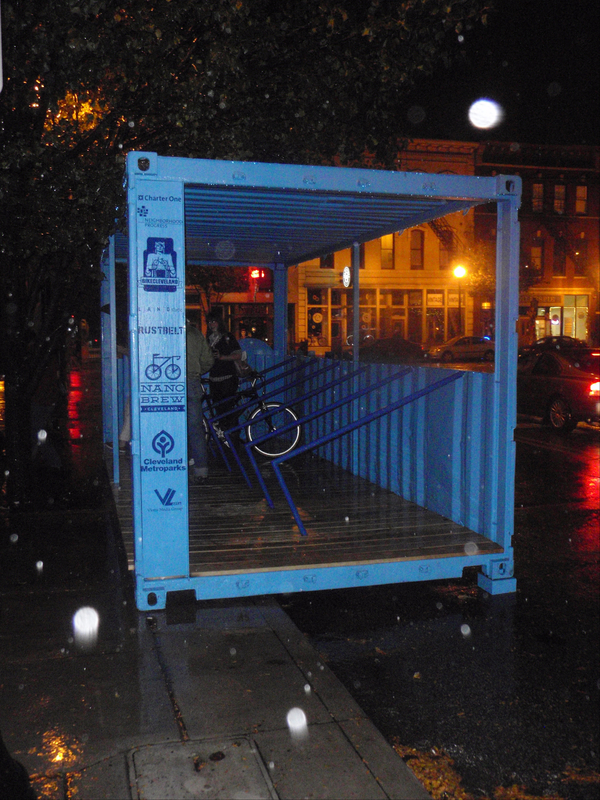 Nano sports an inside bike repair station while the outside features a repurposed shipping container that was built as a bike parking area (to keep his customers bikes from getting wet). Cool and inventive, sure, but it also required working with the city to get a variance to make it work – not the easiest path but it created something unique that is distinctive for the space and for the customer. McNulty takes care of his staff – mainly by giving them the tools and environment to succeed but also supporting them. Nearby Black Pig is operated by one of his former chefs. And for employee appreciation – here is an example and benchmark to aim at for those in the restaurant trade. McNulty closed operations down the Sunday before Super Bowl (2012) and created a space for four food trucks to serve his team. Then he hired four party busses to bar hop his group around town which he paid for deep cleaning of the kitchens while they were out having fun. If you are in the food biz, having some fun at someone else’s place then coming home to a clean workspace, can’t be beat. Take care of your people and they will take care of your business and your customers – an easy lesson but missed by many. So take the above and a lot more and that is how one builds sustainable businesses in Cleveland and elsewhere. There are many of McNulty’s peers doing the same but of those I have met to date, no one does it with the vigor and radar guided smart bomb focus of Ohio City’s favorite resident. (Two side notes) During our tour it was raining heavily. 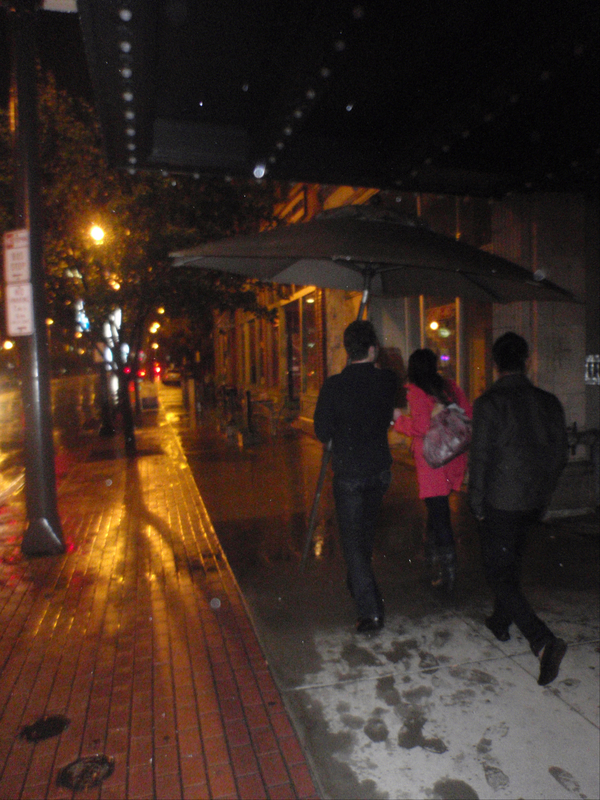 McNulty grabbed a patio umbrella from one restaurant and used it to keep his guests dry moving to the next destination. A young McNulty delivered newspapers to Michael Ruhlman for ten years, and the esteemed Cleveland food writer was noted to be a good tipper. McNulty might give Ruhlman a tip or two these days. About 95% of my eating discoveries are not random – they are places I have heard of from valued sources, the result of intense research or a referral. In the case of Mr. Brisket, it was pure, blind luck I found this gem. While looking for a parking space near Melt, I caught a glint of the sign out of the corner of my eye. I was not sure if the place was wholesale or retail but it exuded “exceptional hole in the wall aura” from my street side view. I had promised my road trip companion a trip to Melt but I added, “I hope you don’t mind, but we have to go over and check out the brisket place afterwards”. The duder agreed. 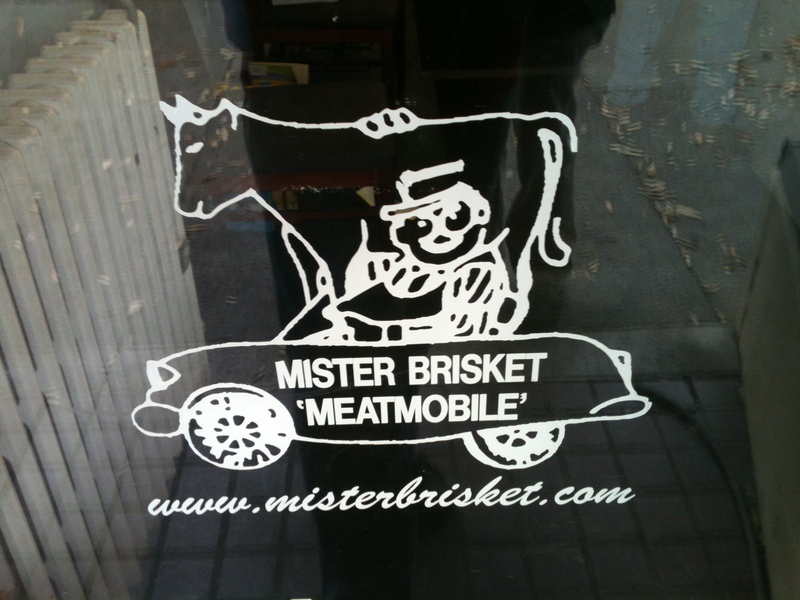 I have to admit, I much as I like Melt, I could not get Mr. Brisket off my mind. I was worried we might dawdle too long and miss out on something. When I did finally walk through the door, it was love at first sniff. 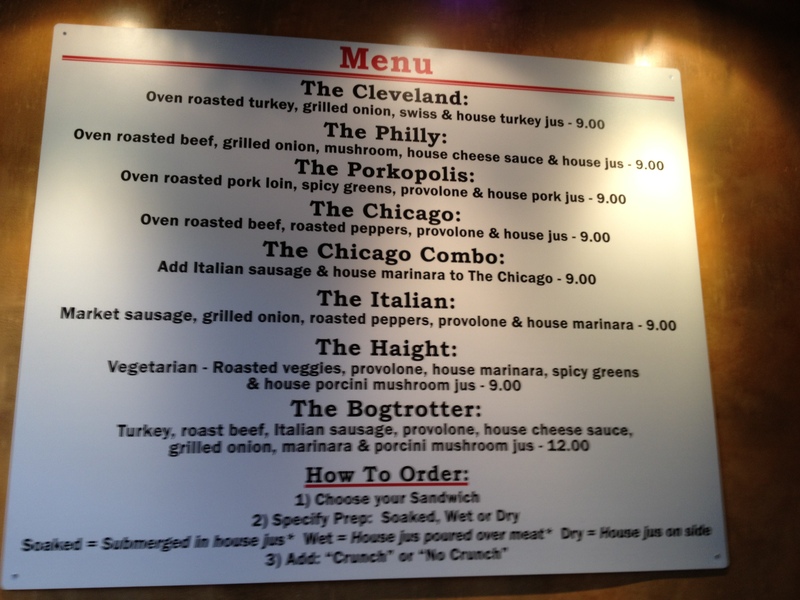 In retrospect, I am peeved with my friends that hail from Cleveland for never mentioning this meat based business to me. How could my cured meat loving pals from Willoughby, Euclid and elsewhere have never thought to mention this mecca of meat to me? Yes, I felt hurt, rage, many strong emotions. Sanford Herskovitz started in the fine meats business in the late 1970’s. It was not his plan (most great things are not according to agenda more often that are a muted calling), he has just earned his Ph.D in psychology and had not yet found a teaching job. He was helping his mother manage some accounts she was working and found a taste for the meat business. He has not relented from his trade since. In the mid 1980’s a new member was added to the team, Hank Kornblut. He followed s similar path as his salami sensei, he was working in the shop while looking for something else…and found a higher meaning in meats. The background above, sets the stage for why I am such a fan of Mr. Brisket. I decided I liked the place before my first bite. If I had the time and a chair to sit on, I would sit in the shop all day to listen to and observe the banter back and forth among the owner, employees and customers. These guys behind the counter are a wealth of knowledge and prize customer service over all things. 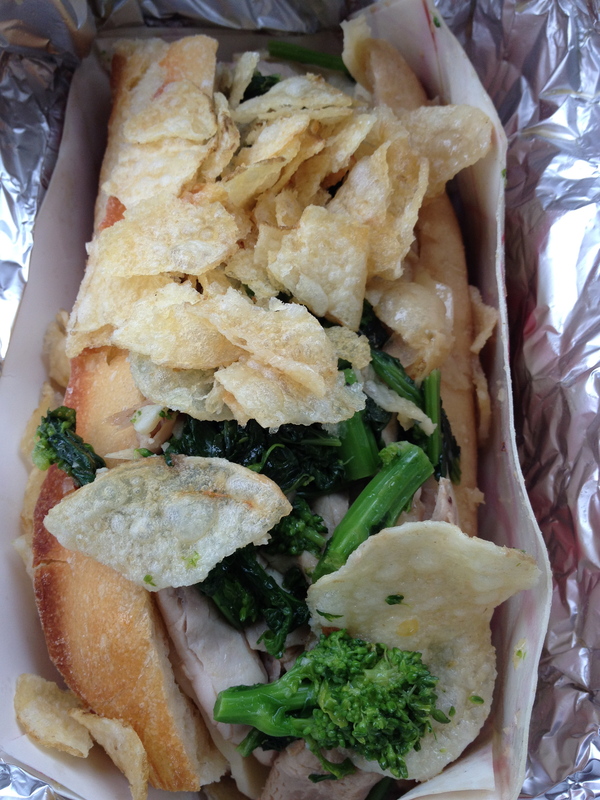 I was stuffed from my previous lunch but still determined to order a sandwich. I ended up ordering two. 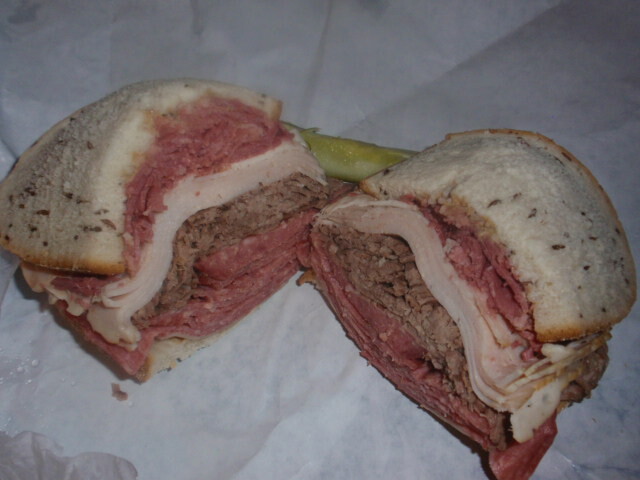 I ordered a standard corned beef (a benchmark of ethnic Cleveland) and “The Duke” a giant combo sandwich which ensured I did not miss out on anything the shop had to serve. The Duke is: one pound of corned beef, turkey, salami and brisket with swiss cheese – served with the motto – “You Can’t Handle the Duke!” Well I did, but by converting the meaty mass into two different sandwiches – half for the road and the other half when I arrived back in Columbus hours later. There are other strong indicators that this place is the real deal: blackboard menus, lots of cured meats sliced to order, no tables or chairs, a non stop string of regular customers rotating through the door and many, many wisecracks, back slaps and words of wisdom in between. I wish I could visit more often but between trips, I can keep up on all things brisket by signing up for their e-mail list (often entertaining) and reading the Mr. Brisket Blog. Chopped Liver, Potato Knishes, Matzo Ball Soup, Potato Pancakes, aged pickles, jars of Aged Pickles and of course Stadium Mustard on request. Another item of note, Rumanian Pastrami. Where else in Ohio would one find that other than Mr. Brisket. Make the trip and take a cooler if you hail from out of town. I like ice cream. In fact I like Ice cream a lot. I have eaten much more than you have. I have read more about it. I may have made more than you have. So, in case it is not yet clear, I have a thing for ice cream. In an alternate retirement path for me, I see myself owning an ice cream shop in Athens Ohio that would be a more accessible, less (oh my god I am going go say/write it) pretentious version of Jeni’s. Another thing I have a thing for is history – the stories, lore, facts and falsehoods of food history, in particular ice cream. The above sets the stage for why I adore Sweet Moses. Creating a culinary experience is a difficult task. Creating one that is also historically accurate as well as really, deliciously, painfully good and still profitable is……near impossible, downright expensive and risky as hell. So when I approached the doors of Sweet Moses, I was a bit skeptical. I really did not want to get my hopes up only to see them melt away and go down the drain. The closest experience in my life to a true soda fountain occurred in my early youth before I could appreciate it. The Beechwold Pharmacy just up the street from my childhood abode was a quick banana seated bike ride away. I might have peeked my head in a few times as a youth, but I never stayed long enough to enjoy the place. It seemed a bit old-fashioned for my inexperienced pre-gourmand, pre teenage self. I was more interested in the pharmacy across the street that had an ancient coke machine dispensing a freezing cold bottle of coke for a quarter next to a stack of 25-cent comic books that time forgot. By the time I did get to an age where I could appreciate a true soda fountain, the Beechwold Pharmacy was a florist shop and I was scooping ice cream at my first job at Knight’s Ice Cream. 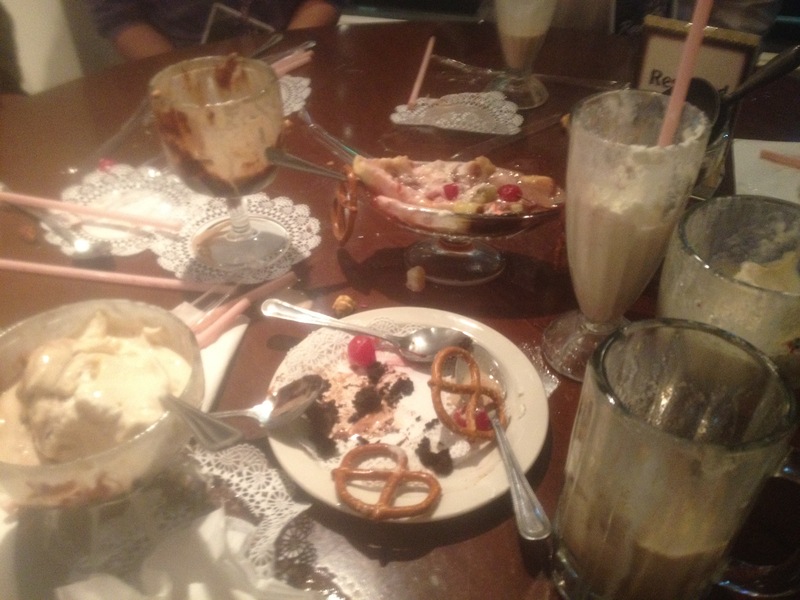 (Note: I did find this soda fountain again in my later years). Now that the flashback sequence is over, let’s get back to Sweet Moses. First – the name. Sweet as in everything this establishment serves. Moses as in Moses Cleaveland, the founding father of Cleveland. 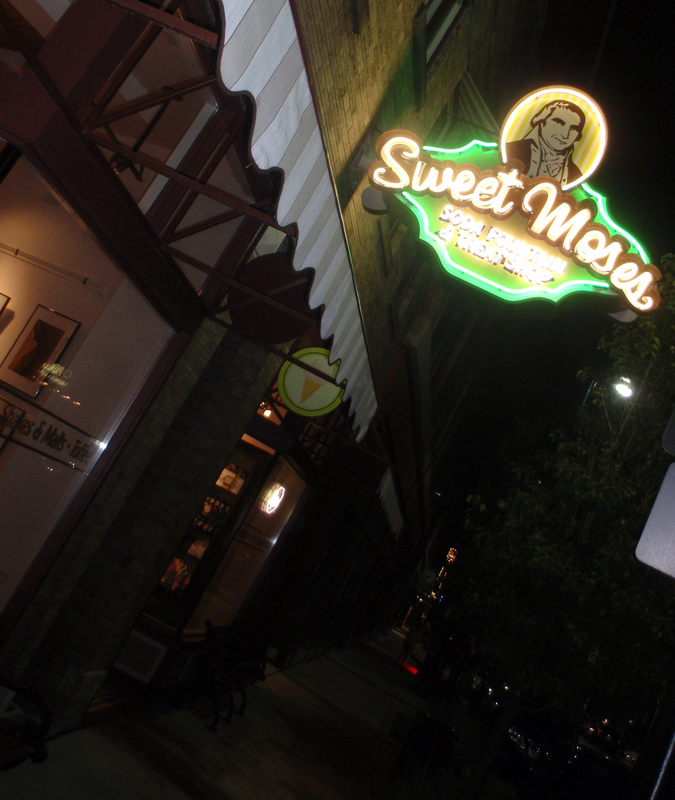 Located within the Gordon Square Arts District, Sweet Moses was created with the intention of providing a family friendly place where guests can hang out, take their time and slow down a bit transporting themselves back to the era and pace of the 1930’s and 1940’s, the heyday of the soda jerk. 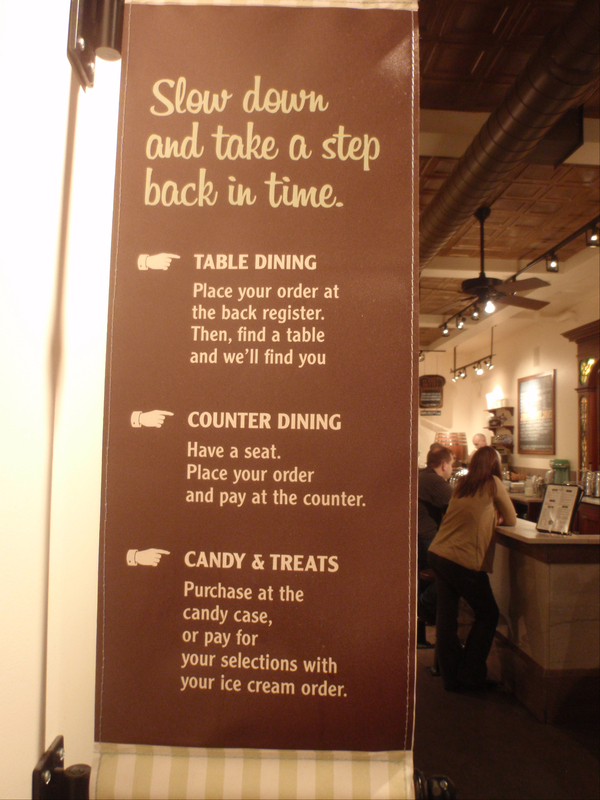 Since we are all a bit too hectic and unschooled in the ways of the soda fountain, the shop conveniently displays signs to guide guests through the disorientation of not knowing what to do…. and having forgotten how to chill out a bit. Sweet Moses gets every little detail right – from the antique high cresting wooden booths, swivel top stools and wire backed parlor chairs to the triple draft arm Bastion Blessings soda fountain from the 1940’s. Fortunately for us while owner Jeffrey Moreau was preparing for his departure from corporate American he was also collecting real deal soda fountain and ice cream parlor components from the 1920’s to 1940’s throughout a five state area. 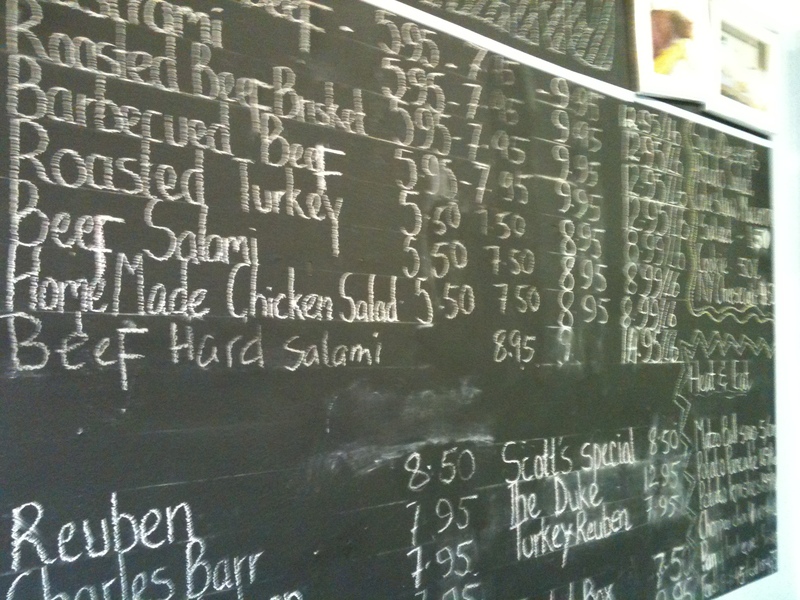 Some of the menu boards are repurposed from an 1800’s farmhouse. Moreau’s dream was to create a place that fit in with its neighborhood and would feel like it had always been there. His goal: to be authentic without being hokey was not the easiest task. However collecting the equipment was an easier task than trying to get all of the soda fountain recipes right and ensuring flavors were spot on. A lot of soda fountain lore was lost in the decades so a fair amount of trial an error was needed before opening in March of 2011. 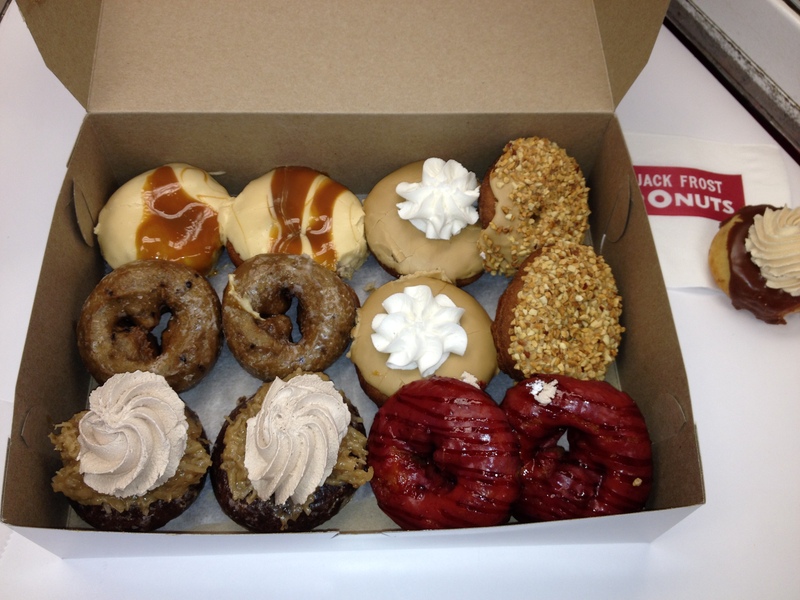 And let me assure you, having sampled almost everything that everything is as it should be at Sweet Moses…..just right. The ice cream base is made using Hartzler Dairy milk from Wooster. The root beer is home-made and hand carbonated. The butterscotch, sauces and toppings are made from hand….all labor intensive, all ingredient driven and not inexpensive to source. The major investment is in time – it takes longer to make something than pour it out of a can but the tastes differences between fresh and manufactured never compare. For example, for the Bananas Foster Ice Cream, twenty just right and ripe bananas go into each tub of ice cream. The ice cream machine is the same (Rolls Royce of the trade) Carpigiani that Jeni’s Ice Cream uses. For those of you that are ice cream savvy, the ice cream is low overflow (dense ice cream with a low air content) with about 12% butterfat…..that is the sweet spot for ice cream in my book. Whether the ice cream is scooped or dished served in a sundae or fresh made waffle cone – the attention to detail is shown in every item served from the counter. What else makes the experience authentic – soda jerk garb of hats and aprons adore each employee as well as a bit of soda jerk jargon getting slung behind the counter. Many of the tables have small placards with details about the shop, the lingo and the lore of soda fountains. 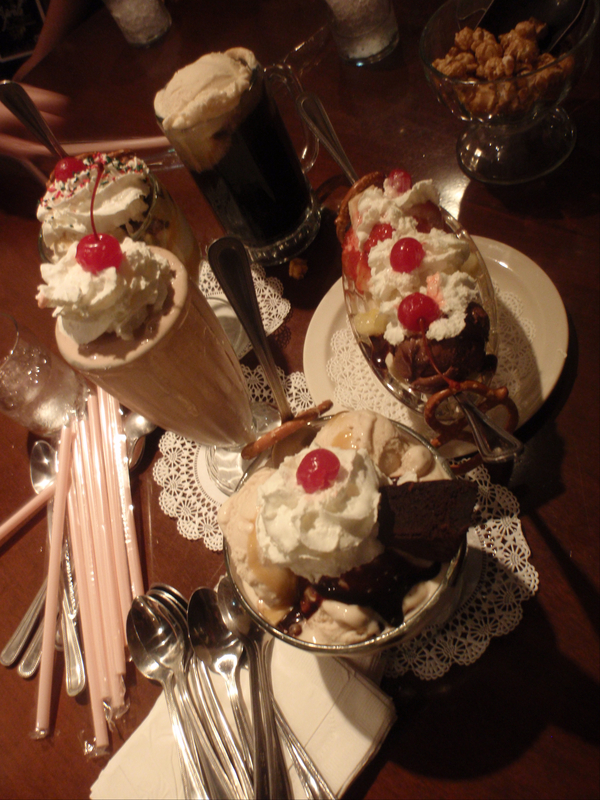 Small touches include a salty pretzel attached to the spoon of each sweet sundae. Water service to each table, a lacy coaster with each dish – the right spoon for the right glass – everything must be just so. 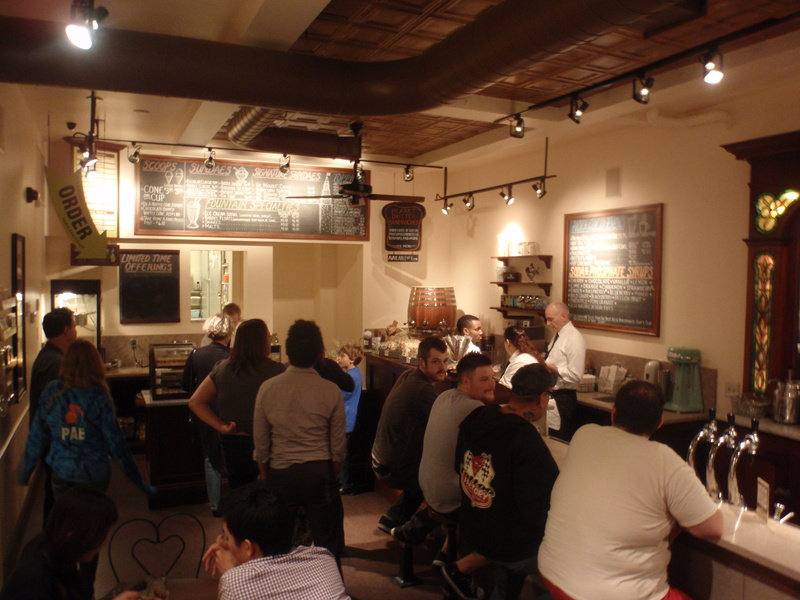 What else makes the place a destination: Homemade pies….and brownies. Served with or without ice cream have quickly become well worth the calorie commitment. Or maybe a peanut butter sandwich….simple, basic, American as apple pie….and if you come on the right day, you could get that too. 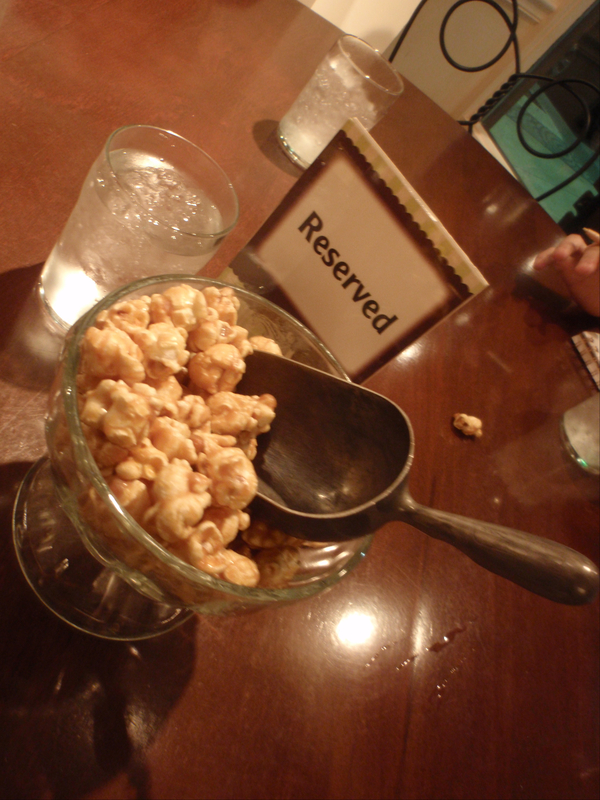 Another item that started as an afterthought and has become a signature items is house made caramel corn, with the addition of handcrafted toffee. Or maybe you want to bring someone with you for The Gordon Square: homemade brownie covered with Bananas Foster ice cream then topped with warm caramel and hot fudge. The more ambitious or the chronically indecisive may want The Terminal Tower:Ten scoops of ice cream—one scoop of each regular flavor with five toppings, almonds, pecans, sprinkles, whipped cream, some cherries and a few things I may have forgotten. Jeffrey Moreau aimed to create something that would honor the past and by doing so, has ensured a sweet future on Gordon Square.